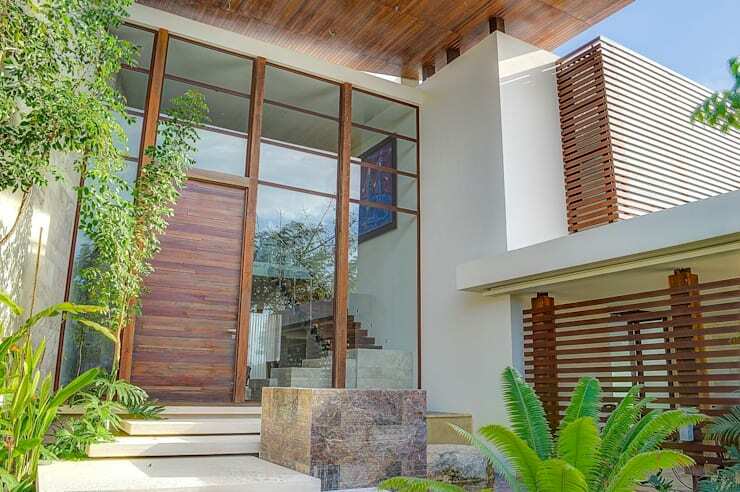 The entrance to your home defines its aesthetic and ambience. Considering this, it’s crucial you consider how it will look from both the inside and the outside. 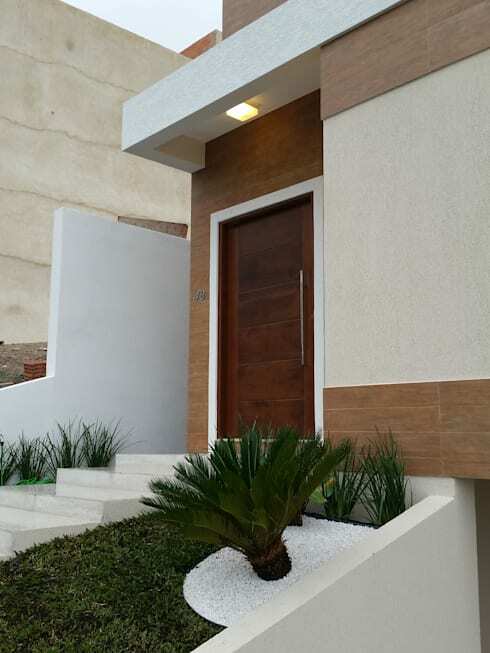 The entry should be clear, clean and inviting. It should welcome guests, provide an insight into the design and décor of the rest of the home, while retaining a sense of spotlessness and organisation. 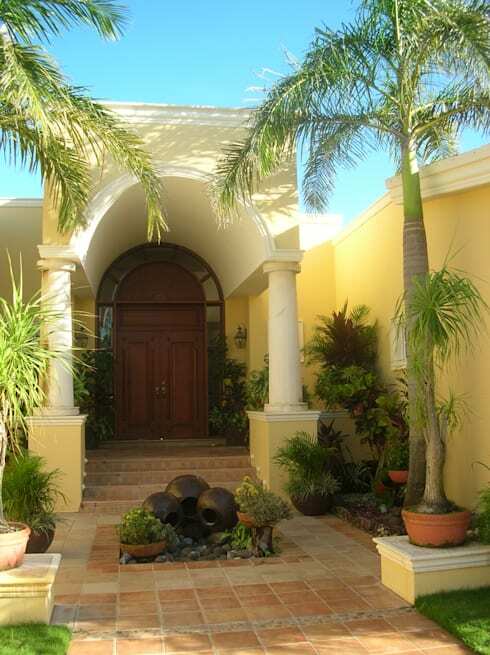 Landscaping is crucial to the stylish success of your entrance. Sophisticated, elegant and eco-friendly, planting a well-landscaped front garden near your entry could just be the best thing you do! Choose colours and varieties that match or contrast your property, and remember to chat to a professional if you require some guidance. 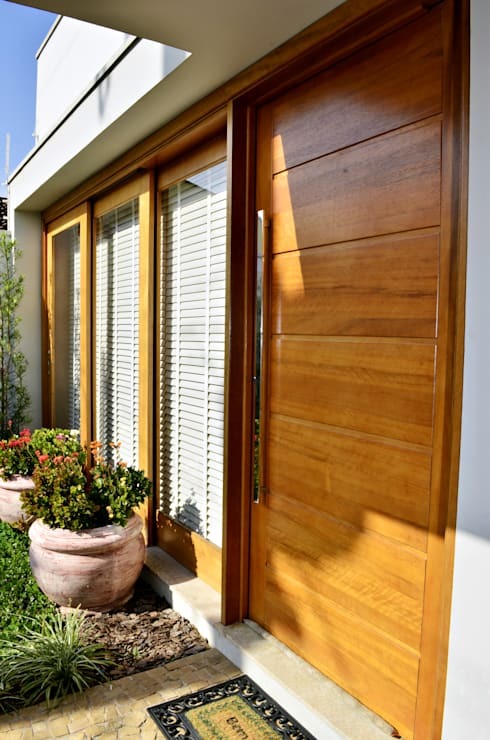 Textured entrances not only look great, but they assist in creating a welcoming aesthetic, along with an individualised sense of personality for your home. For added style, enhance your structural textures and patterns using light, like this chic example above! A raised entrance demands attention and looks glamorous. If you're lucky enough to have a raised entrance, enhance it using the stairs. 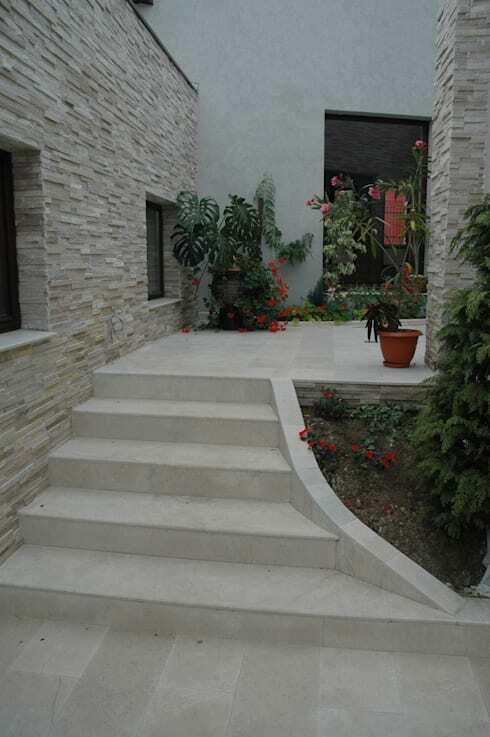 Consider large and low steps, or perhaps something that meanders elegantly towards your front door. Panoramic windows bring a huge amount of natural sunlight into a home, boosting the elegance and clarity within the entrance. We love this entry, which is large, impressive and boasts huge floor to ceiling windows. 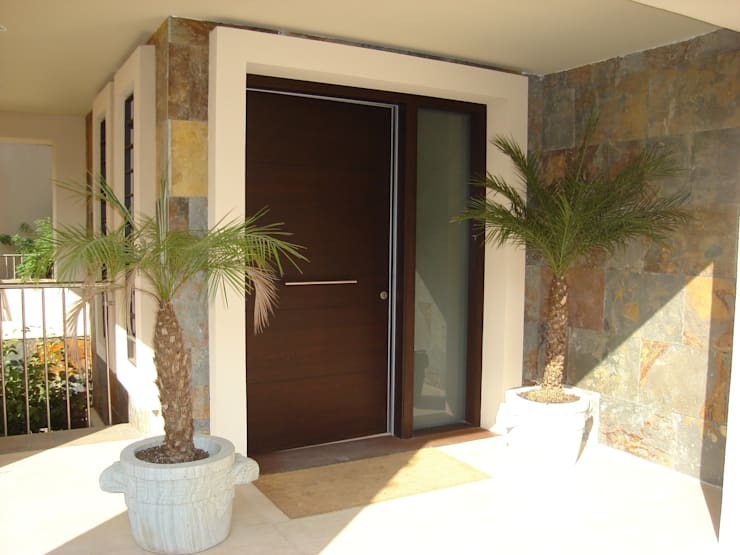 As well as your entrance surround, you should pay special attention to the actual door itself. Timber is a timeless material that suits a range of homes, but really the options are endless and only limited by your imagination! Adding different materials can help provide contrast to the home. 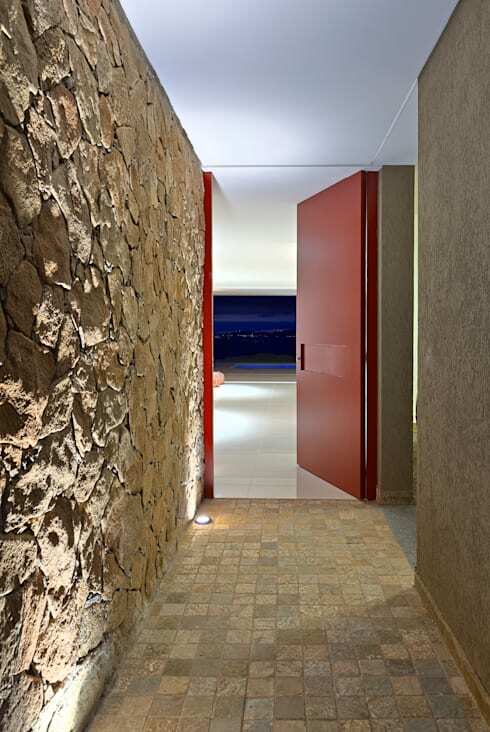 In this example we see the architects have employed simple stucco, which is then paired with stone cladding. A portico is not only great for the rainy Hong Kong weather, but it also provides a stylish entrance point for your home. Consider a portico or porch to designate your dwelling's entrance clearly to visitors, as well as inject a little pizzazz and sophistication. 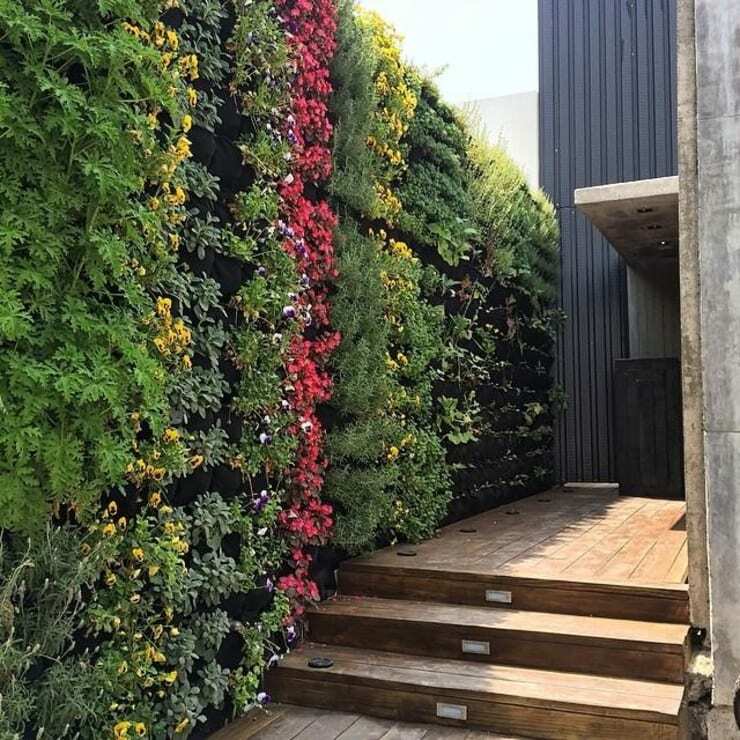 Have you heard of vertical green walls? These wonderful gardens grow upwards and provide an ideal spot for lush greenery—especially if space is limited!